One hallmark of fundamental fairness is satisfied when students, faculty, and staff are strong participants in all phases of conduct resolution. Working together, members of our community reflect the values and best aspirations of UNCG. Faculty and Staff volunteers are needed to serve on Student Conduct Panel Hearings and Academic Integrity Panel Hearings. Training is required for all Faculty, Staff and Students. participate in other in-service training sessions, events, and assessments as available. The Case Coordinator and Student Conduct Advisor are paid positions. For more information about the potential opportunities please review our Student Conduct Team positions below. have the ability to process large amounts of information quickly and precisely. While the time commitment is not as strenuous for this position as it is for Case Coordinator and Student Conduct Advisor, Student Panelists are one of the most vital elements of the conduct process and must remain strongly committed to the process. reviews any documentary or evidentiary material and organizes the parts into a factual, rational account of the allegations on behalf of the University community. The Case Coordinator does not “build” a case but does assemble the apparent facts in the above manner and presents them to the hearing panel. A Case Coordinator is not a finder of fact but, rather, a researcher presenting an in-depth assembly of research findings to a hearing panel who, in turn, is charged with finding facts. The Case Coordinator, like the Student Conduct Advisor, may pose questions to witnesses or other participants in the hearing process in the clarification of facts but does not seek to “prosecute” the case. The role of the Case Coordinator is that of a narrator of research findings, portraying for the hearing panel a rational re-construction of events on behalf of the University community. Student Conduct Advisors are responsible for assisting students who are accused of violations of the Student Code of Conduct and Academic Integrity Policy in preparing for their hearing. 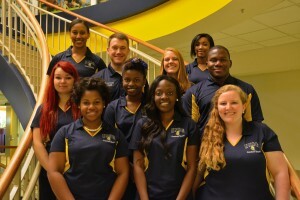 Student Conduct Advisors work closely with students and Office of Student Rights and Responsibilities. The time commitment will vary depending on the intricacies of the case. The position reports to the Student Government Attorney General. The Student Conduct Advisor is assigned to accused students through the Student Government Attorney General’s Office. Accused students are not required to utilize their assigned Student Conduct Advisor but are encouraged to do so. The assigned Student Conduct Advisor will contact the student in a timely fashion and work to assemble the most cogent and truthful reporting of the facts in the case from the viewpoint of the accused. The Student Conduct Advisor can provide assistance in meetings and discussions, with witnesses review of evidentiary and documentary materials, and in understanding the hearing process and likely issues the student will face. The Student Conduct Advisor is a resource to be utilized as desired by the student and not a spokesperson for the accused.The Student Conduct Advisor, like the coordinator, assists in the clarification of facts through questions during a hearing but is not a defense counsel. Every accused student is responsible for presentation of his or her view of the facts in a case; the Student Conduct Advisor is a resource in researching and presenting this material.